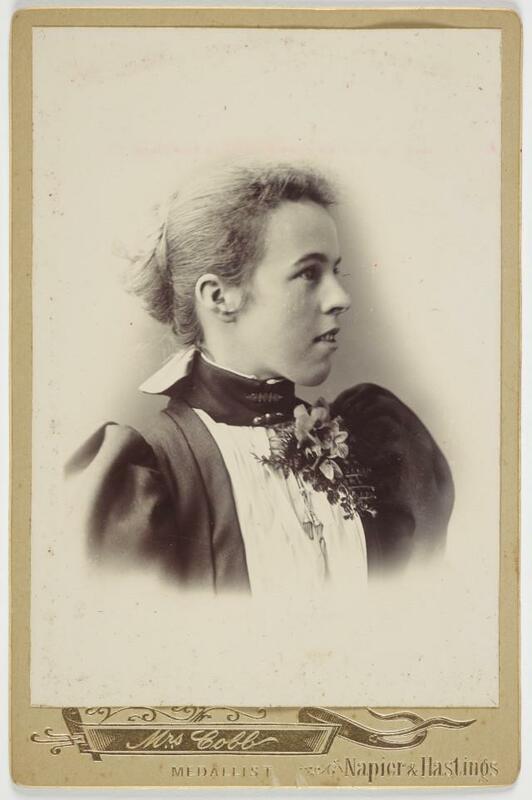 Curator Historical Photography Lissa Mitchell takes a look at the life and career of Harriet Cobb, who operated two successful photography studios in the late-1800s and into the 20th century. 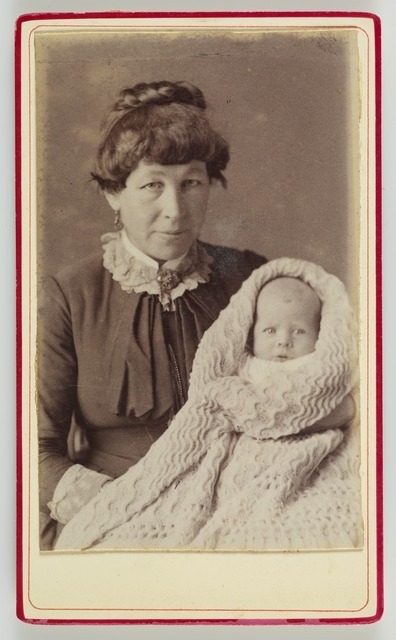 In 1884 professional photographers Harriet and Joseph Cobb and their nine children arrived in New Zealand ready to set up photographic studios in the Hawke’s Bay. Harriet Cobb’s father was early Bournemouth photographer Robert Day (1822-1873) who taught his daughter the photographic trade. After arriving in New Zealand from Britain in 1884 with her husband Joseph, the couple operated two studios in Napier (from 1884) and Hastings (from 1885) but after Joseph’s bankruptcy in 1887, Harriet won a plea to continue to operate the businesses and successfully operated both studios in her name until she retired in 1911. 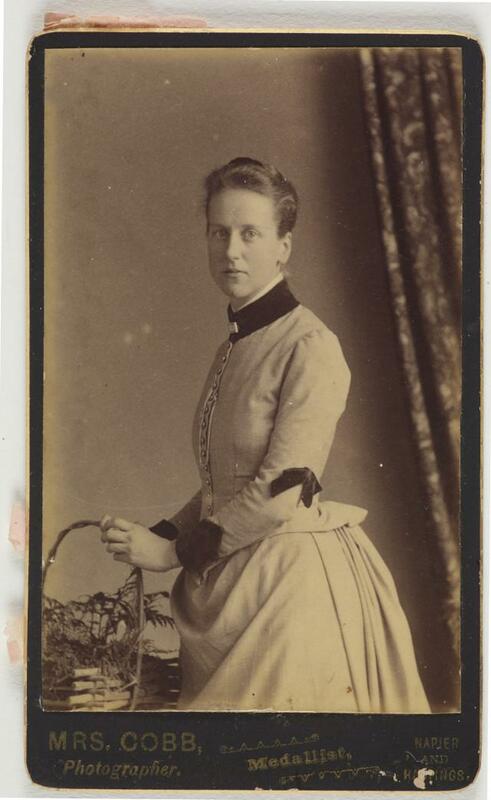 Harriet was a busy and ambitious woman – having a sensibility for the photographic trade learnt from her father that was out of step in the sleepy colony of New Zealand. Her work in the 1885 Industrial Exhibition in Wellington caught the attention of Julius von Haast who selected it for inclusion in the New Zealand court at the 1886 Colonial and Indian Exhibition in London. Cobb’s work was described by a reviewer as being portraiture of mostly female subjects. By being included in the exhibition, Cobb’s work inserted the visual existence of family life and women’s lives in the colony into the multitude of industrial and scenic exhibits that dominated the New Zealand court at the London exhibition. Cobb advertised herself as an ‘art photographer’, which was a way of claiming that her work was of higher quality than other photographers. In one of Cobb’s advertisements she claimed that the basics of photography could be learnt by any school boy in a week but not the skills, experience, and eye for creating quality photographs that she had. Cobb’s marketing targeted a broad clientele and emphasised quality service in a quality establishment run by herself. She wanted it understood that her studios were respectable places for women to go unaccompanied by men. In 1892, when she signed the Women’s suffrage petition, Harriet was 46 years old and had a new baby, John Wesley, who was the youngest of her 15 children and was later killed in action during World War I. Unlike many early women photographers, Harriet’s legacy and story is being preserved and promoted by her descendants. If you would like to read more about Harriet and her family you can visit the Cobb family website. If you have photographs by Harriet Cobb (or any other studio operated by a woman photographer) I’d love to hear from you. How did she have time to work with all those pregnancies?